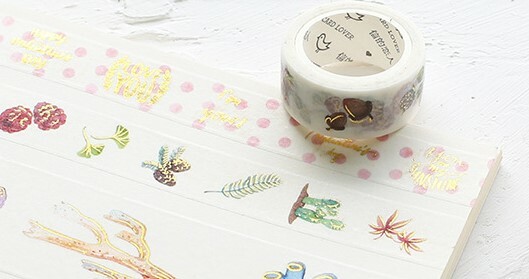 This is really cute self-adhesive masking paper tape, perfect for scrapbooking, decoration, or any other handmade projects you can think of. 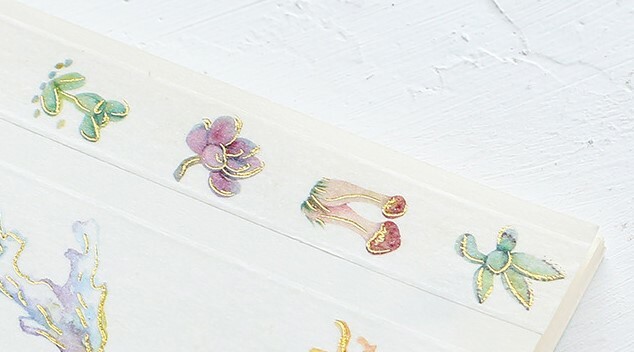 - Material: Japanese washi paper, gilding pattern. - Self-adhesive, easy to remove and re-usable.